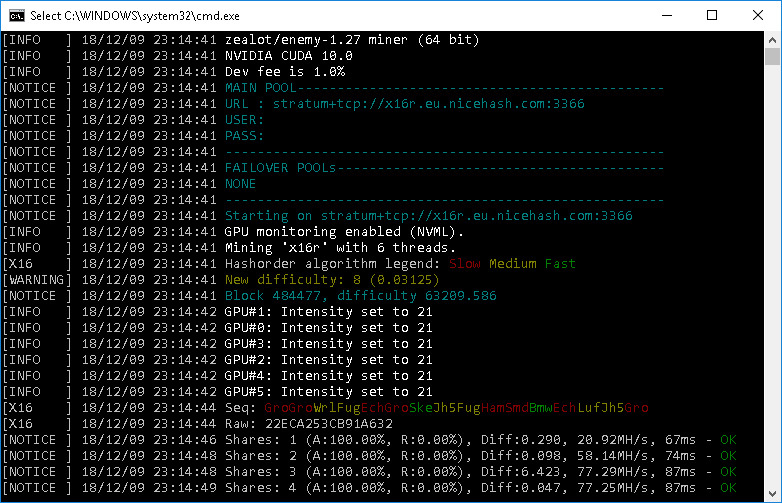 The latest update of the z-enemy 1.28 Nvidia GPU miner comes with more hashrate increasing optimizations in a number of the supported crypto algorithms such as BCD, HEX, X16R, X16S, X17 Bitcore, C11, Sonoa and others. You can expect to see performance improvements of up to 7-8% for Bitcoin Diamond, up to about 4-5% for HEX, up to 3-5% for X16R, X16S, X17, Bitcore, C11, Sonoa, etc… So if using any of the supported algorithms by the z-enemy miner at the moment you should definitely upgrade your version to 1.28 to get a bit of extra performance increase. The latest z-enemy version 1.28 is available for CUDA 9.1, 9.2 and 10.0 for 64-bit Windows versions as well as CUDA 9.0, CUDA 9.1, CUDA 9.2 and CUDA 10 binaries for Linux (HiveOS, PiMP OS, EthOS & Ubuntu). Make sure that you have the respective recent video driver version installed for the CUDA version you want to use – 388+ for 9.1, 397+ for 9.2 and 411+ for CUDA 10.0, though 415+ is advised for the best performance. 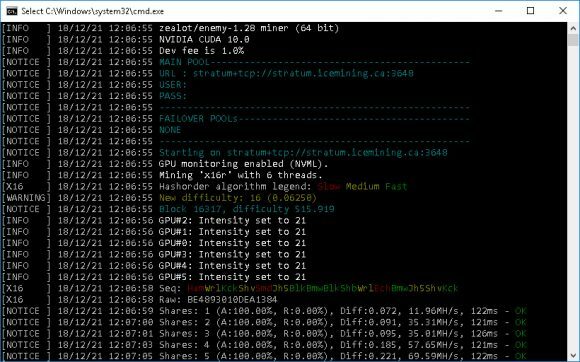 We remind you that z-enemy is a closed source miner available only as a binary release and it contains a 1% developer fee built-in to support further software development. 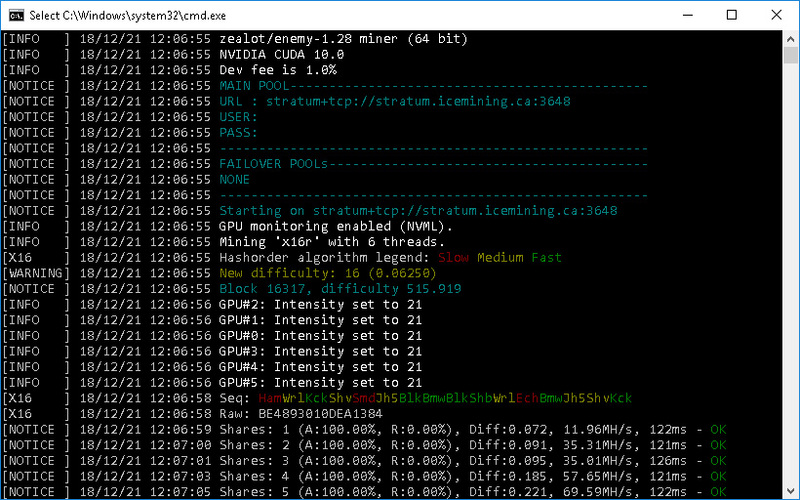 The latest update of the z-enemy 1.27 Nvidia GPU miner comes with some more performance optimizations in a number of the supported crypto algorithms with tweaks targeted at Nvidia GTX 10×0 GPUs. You can expect to see performance improvements of up to +3-4% for X16r and X16s as well as for HEX, up to +6-8% for Bitcoin Diamond (BCD), up to 1-3% on others like X17, Bitcore, C11, Sonoa, etc… on GTX 10×0 cards. So if using any of the supported algorithms by the z-enemy miner at the moment you should definitely upgrade your version to 1.27 to get a bit of extra performance boost. The latest z-enemy version 1.27 is available for CUDA 9.1, 9.2 and 10.0 for 64-bit Windows versions as well as CUDA 9.0, CUDA 9.1, CUDA 9.2 and CUDA 10 binaries for Linux (HiveOS, PiMP OS, EthOS & Ubuntu). Make sure that you have the respective recent video driver version installed for the CUDA version you want to use – 388+ for 9.1, 397+ for 9.2 and 411+ for CUDA 10.0, though 415+ is advised for the best performance. We remind you that z-enemy is a closed source miner available only as a binary release and it contains a 1% developer fee built-in to support further software development. 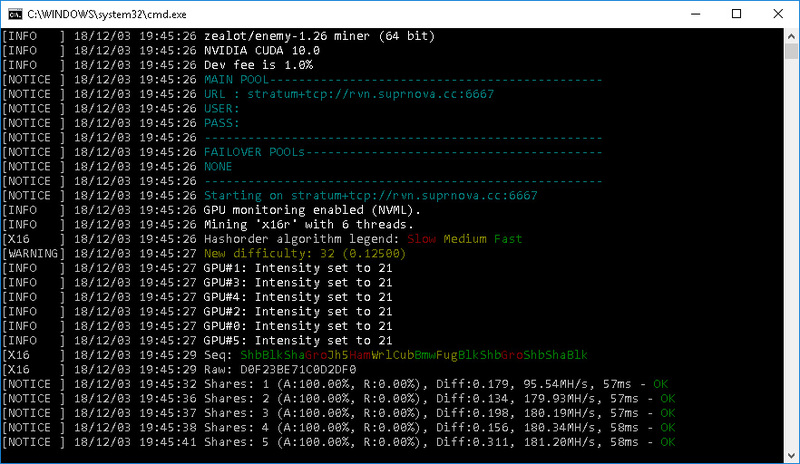 The latest z-enemy 1.26 Nvidia GPU miner comes with additional performance boost in a number of the supported crypto algorithms as well as improved stability. We should note that the latest version also marks the removal of support for the Renesis algorithm, apparently due to the project introducing this algorithm getting abandoned. 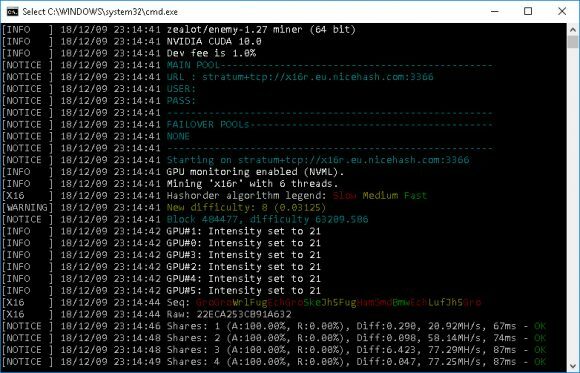 The new version adds up to +5-7% for X16r and X16s, +7% for Bitcore, few percent for other algorithms such as X17, C11, Aergo … on GTX 10×0 cards. The Hex algorithm gets +10% for GTX 10×0 cards and +2% for RTX 20×0 GPUs as a hashrate boost. The latest z-enemy version 1.26 is available for CUDA 9.1, 9.2 and 10.0 for 64-bit Windows versions as well as CUDA 9.0, CUDA 9.1, CUDA 9.2 and CUDA 10 binaries for Linux (HiveOS, PiMP OS, EthOS & Ubuntu). Make sure that you have the respective recent video driver version installed for the CUDA version you want to use – 388+ for 9.1, 397+ for 9.2 and 411+ for CUDA 10.0, though 415+ is advised for the best performance. 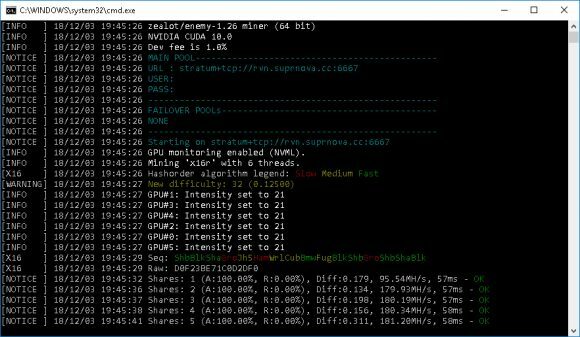 We remind you that z-enemy is a closed source miner available only as a binary release and it contains a 1% developer fee built-in to support further software development.